BOSTON—The Green Line never stood a chance. 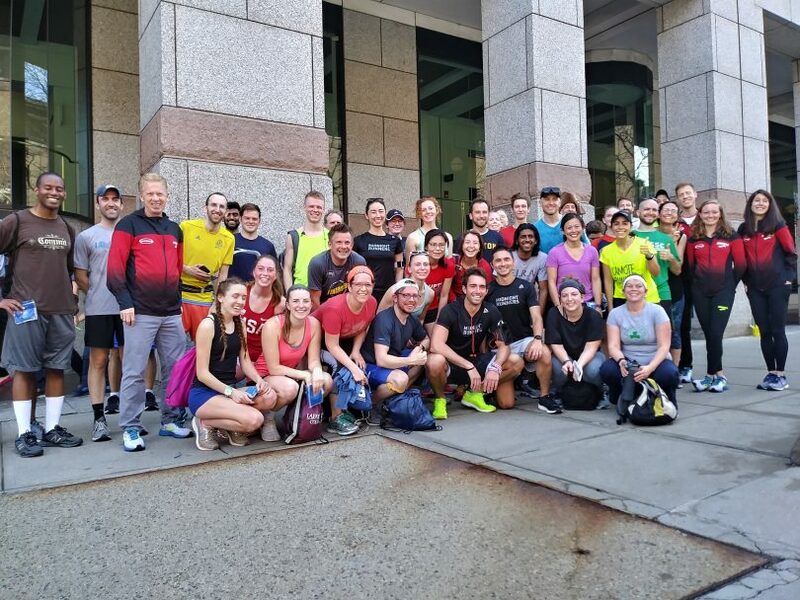 In the second annual “Beat the T” race, which was organized by Marathon Sports in Brookline, approximately 50 runners reached the Hynes Convention Center a full 10 minutes earlier than the handful of organizers and participants who rode the MBTA Green Line train from the Tappan Street stop. 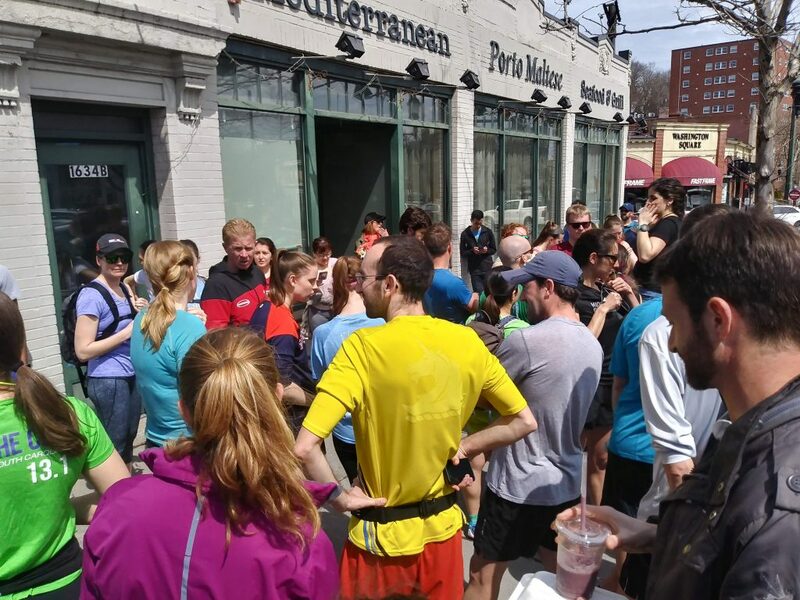 “Gotta train harder next time,” Erin Engelson, the marketing manager for Marathon Sports, quipped as she waited at Kenmore station after the first train was taken out of service. Most of the runners were already over the hill by the time the train started moving, having started running as soon as the train was boarded. The train managed to catch up with the runners at the top of the hill, but then had to stop for the Fairbanks rail stop, which allowed runners to advance again. By the Winchester stop the runners were almost completely out of view from inside the train. 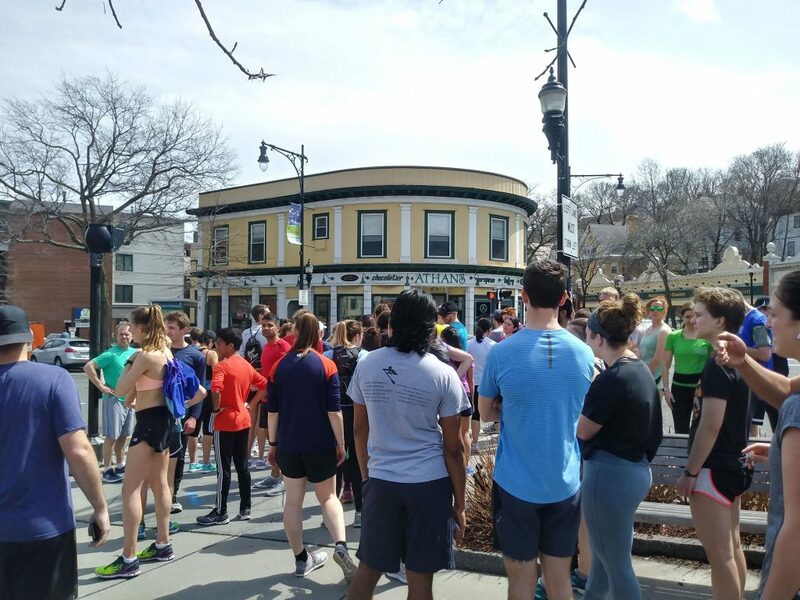 At Coolidge Corner, they were forced to stop for a lengthy red light, giving both the train and slower runners a chance to catch up. However, they were off again before the train was finished loading passengers and weren’t seen until everyone gathered at the convention center. Despite the train’s serious loss to the runners, which echoed its loss last year, Engelson said she wouldn’t consider changing anything to make it more favorable for those on the train. “We wanted to make sure we have the real true experience of what Boston commuters have every day,” Engelson said. 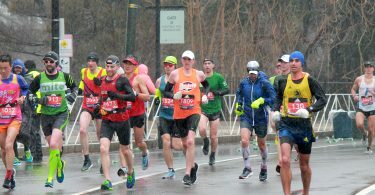 The three-mile race, from Marathon Sports’ storefront on Beacon Street in Brookline to the Hynes Convention Center, was organized as a way to celebrate the spirit of the Boston Marathon, Engelson said before the race. Anna Rubin, 52, of Roslindale, said she attended because she’d grown up in the area and always watched the marathon. In addition, Rubin said she had friends and family members who ran the marathon. Though she isn’t a runner, Rubin said she enjoyed being on the train and watching as the runners go by. Rubin said the train’s chances of beating the runners were “not good”, in large part because of the additional weekend traffic it would have to deal with. Ciara Murphy, 18, of Groton, said she and her friends signed up after seeing the event online. Speaking before the race, she added that she didn’t doubt their ability to beat the train. 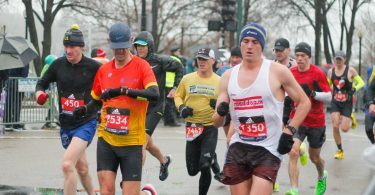 Patrick Driscoll, 30, of Hingham, said he signed up for the “Beat the T” race because it was something to do in the spirit of the Boston Marathon. Unlike the past six years, Driscoll said that this year he is not running in the marathon. “If I get tired, I’ll just jump on a scooter,” he joked, referencing the new electric scooter pilot program in Brookline.